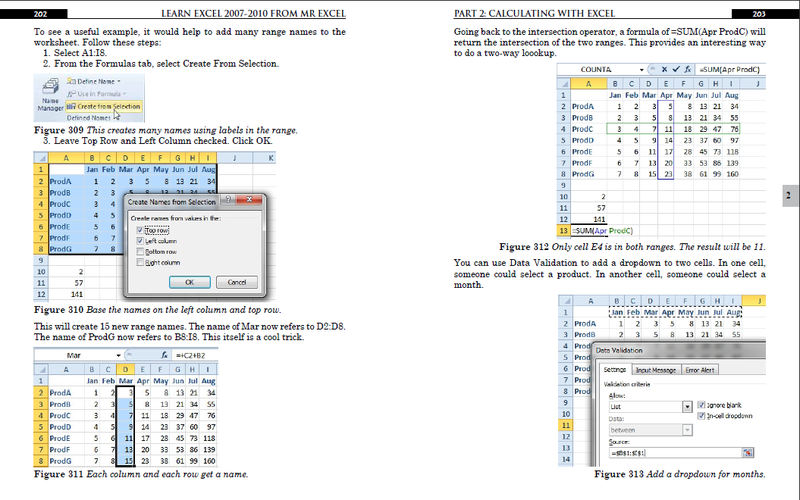 "Learn Excel 2007 through Excel 2010 From MrExcel" - by Bill Jelen. "Includes 35% more tips than the previous edition." This book offers 512 real-life business problems. Each topic starts with a problem and then provides a strategy for solving the problem. Some topics may offer additional details, alternate strategies, results, gotchas, and other elements, as appropriate to the topic. You will never have to go hunting for "Concatenation". Instead, turn to the topic on "How to join two text columns".